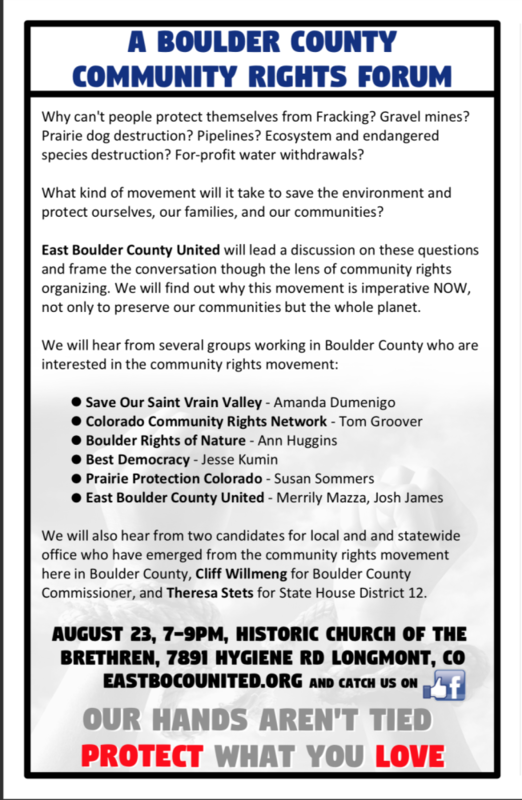 JOIN US THURSDAY, AUGUST 23!! Are you concerned about the destruction occurring all around us? Are you tired of seeing prairie dogs destroyed for development and hatred? Do you want to help work on a strategy that goes beyond the old and tired regulatory structure that always ends in the favor of the destroyers? 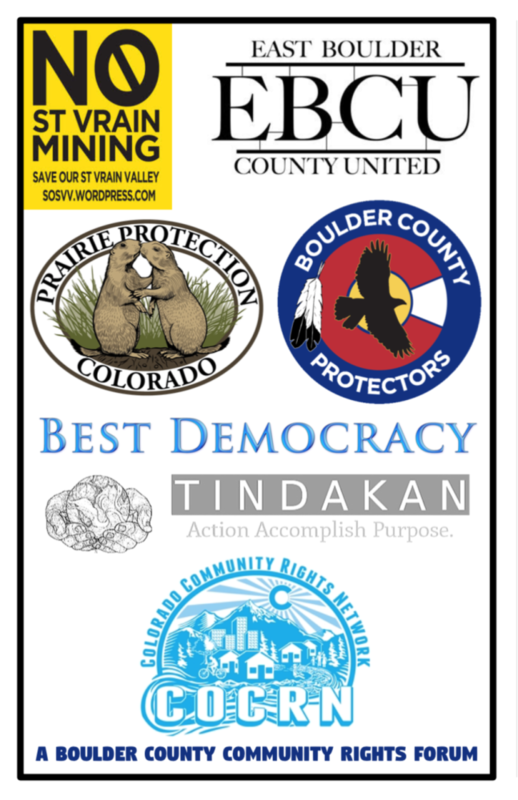 Please join us this Thursday for the Boulder Community Rights Forum! We look forward to seeing you there!